This pattern is currently down. For a Christmas gift, I wanted to do something special and homemade, yet quick and easy. 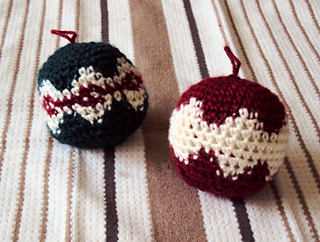 Crocheting ornaments was perfect. I recommend going down a size or two in hook size if your stitches are very loose.